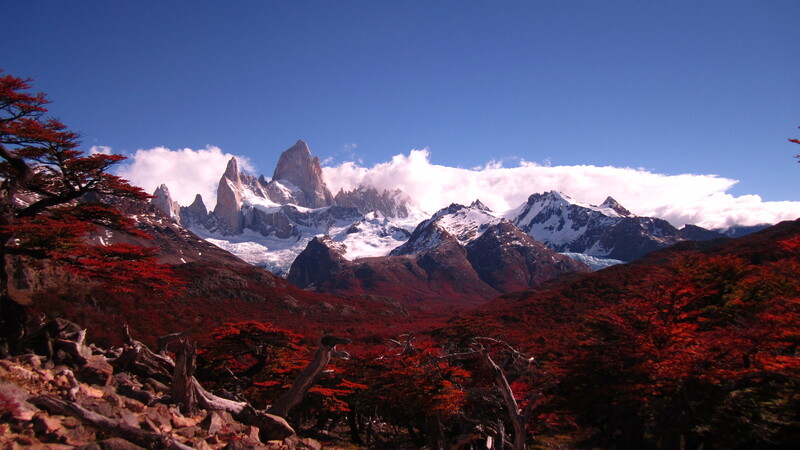 Many months after leaving Patagonia, the mountainous paradise still hasn’t left me. “A legend tells that anyone who eats a Calafate berry will be certain to return to Patagonia.” I only had the berry once, and it was in gelato form in the namesake town of El Calafate, Argentina. As much as I’d liked to believe that legend is true, I’m sure my motivation to return is for a number of other reasons. And for now, all I can do is look through my pictures to recollect (and share with you so you’re convinced to join me next time). After hobbling out of Torres del Paine (TDP), I headed south near the Strait of Magellan and met up with Gabriel in Punta Arenas where we drank a few too many beers which later got us in trouble. 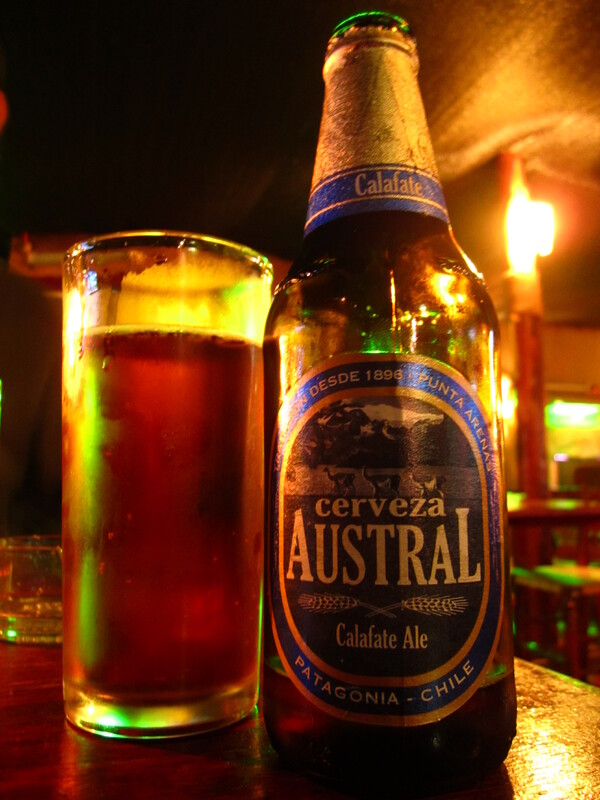 Woops, I guess there was a second form of Calafate berry I had – in Ale form. After catching up with friends from TDP, I happened to run in to two more on the bus ride up to El Calafate, Kim & Vivek. 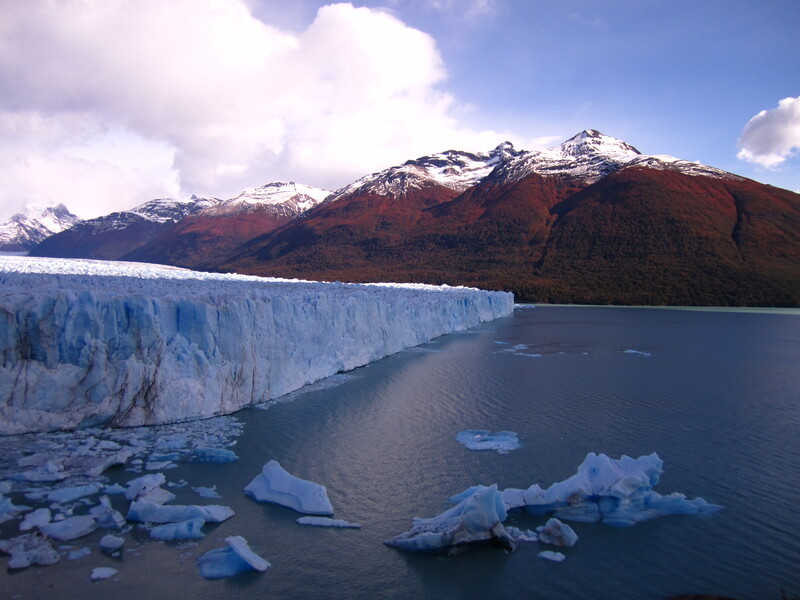 El Calafate is the launching point for the famous Perito Moreno Glacier. 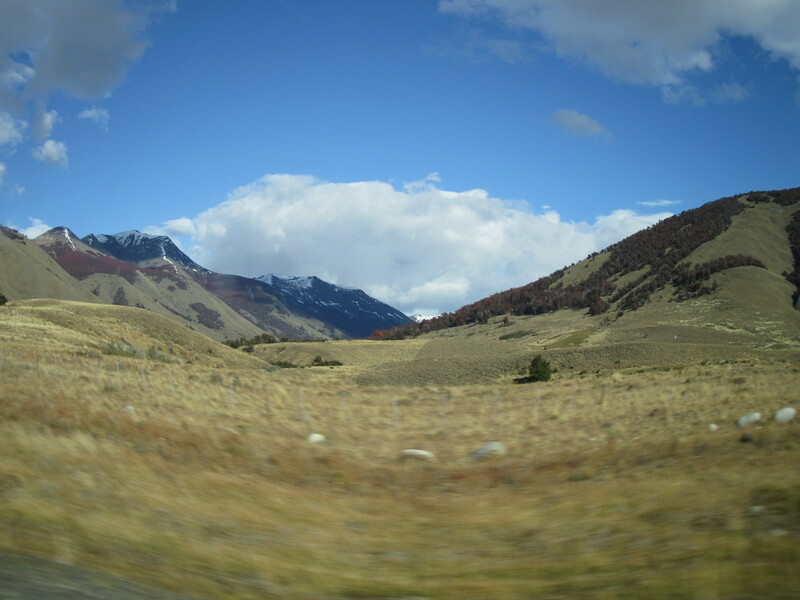 There were a few options for touring the glacier, but we decided to tour it ourselves by renting a car and driving into the Argentinian Andes. We eventually arrived at the enormous and lively glacier. As dead & still as it looks above, it compensated that with cracking, ruptures, and booms. 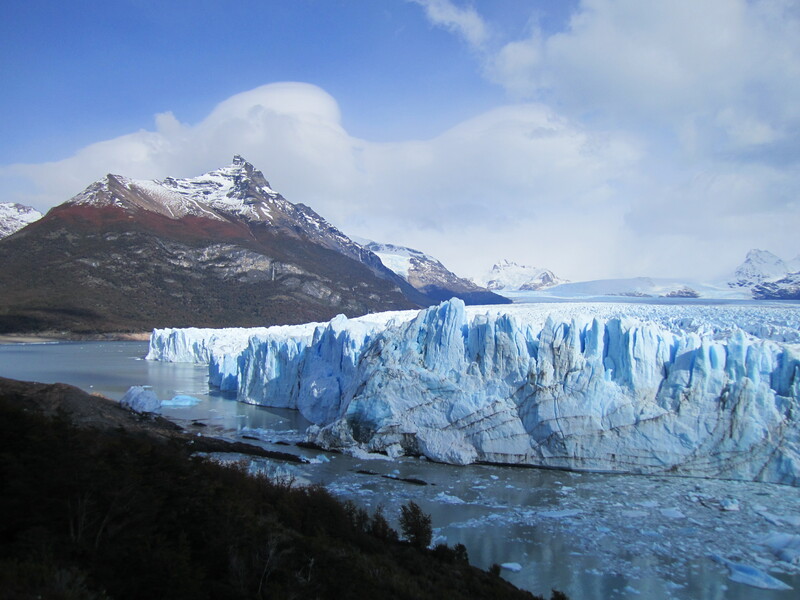 The glacier was moaning far & near until towers of ice gave way and crashed down into the frigid water. The scarlet forest just below the caps of ice on the surrounding mountains was also intriguing. Autumn had arrived sooner at that altitude than at our elevation. After hiking around some, we drove back and readied ourselves for a bus journey to another small mountain town – El Chalten, Argentina. 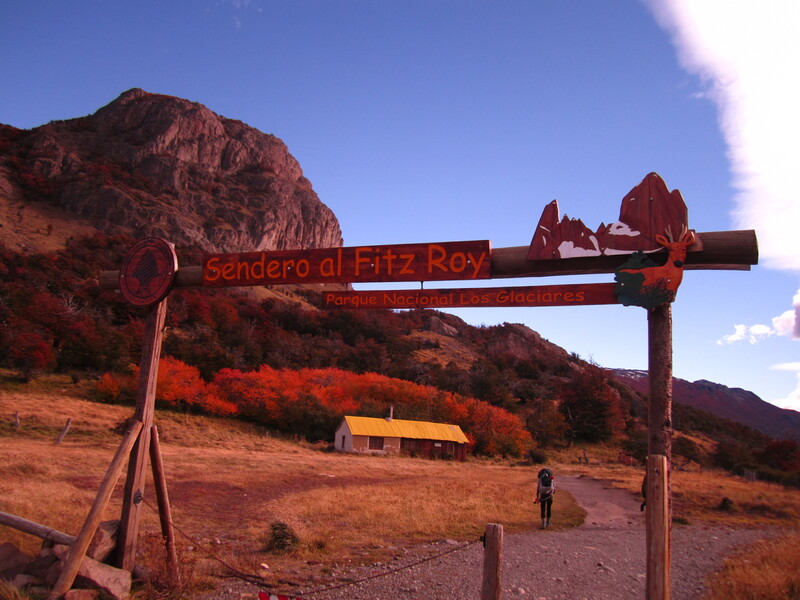 El Chalten is the base of all excursions to Mount Fitz Roy, one of the more difficult mountains to climb in the world. 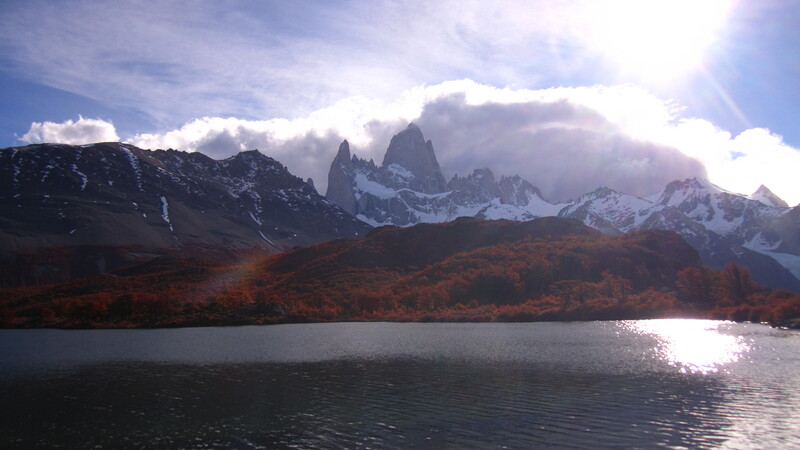 I woke up early the next morning in El Chalten to catch a glimpse of the morning sun painting the mountain orange. 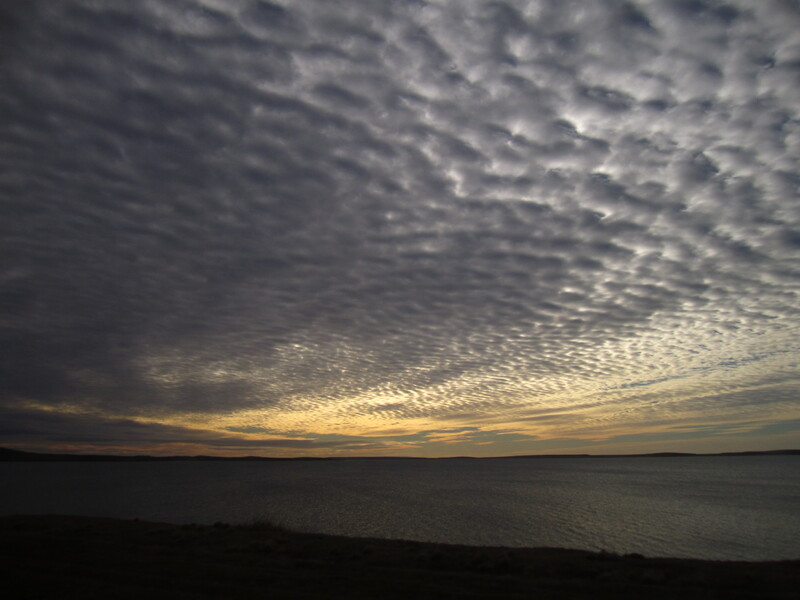 Unfortunately, I either missed it or wasn’t close enough to see it, and instead saw morning light slowly diffusing into the eastern sky (above). 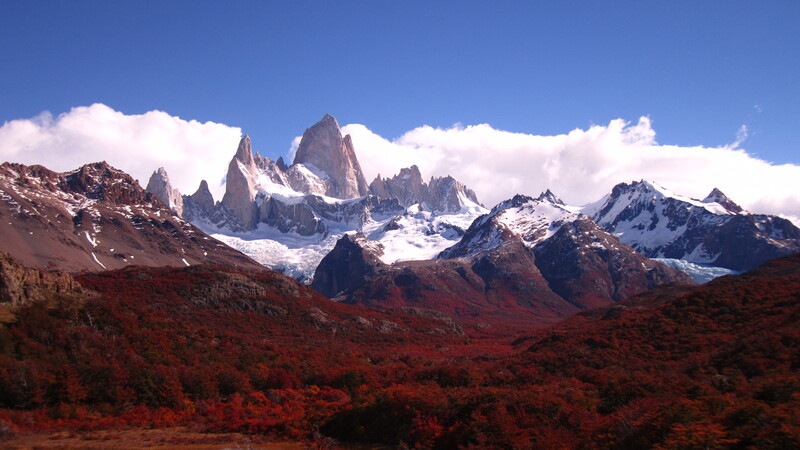 A few hours later, Kim, Vivek, and myself readied ourselves for a hike to the base of Mount Fitz Roy. Fortunately for my knee, the hike was going to be short and dry. 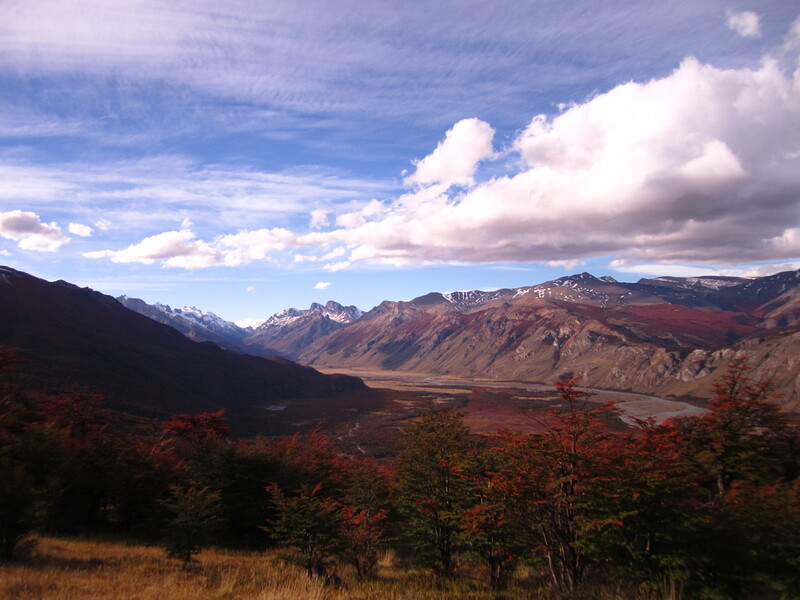 The trail climbed quickly and we were soon overlooking a valley surrounded by mountains sitting on the Argentina-Chile border. 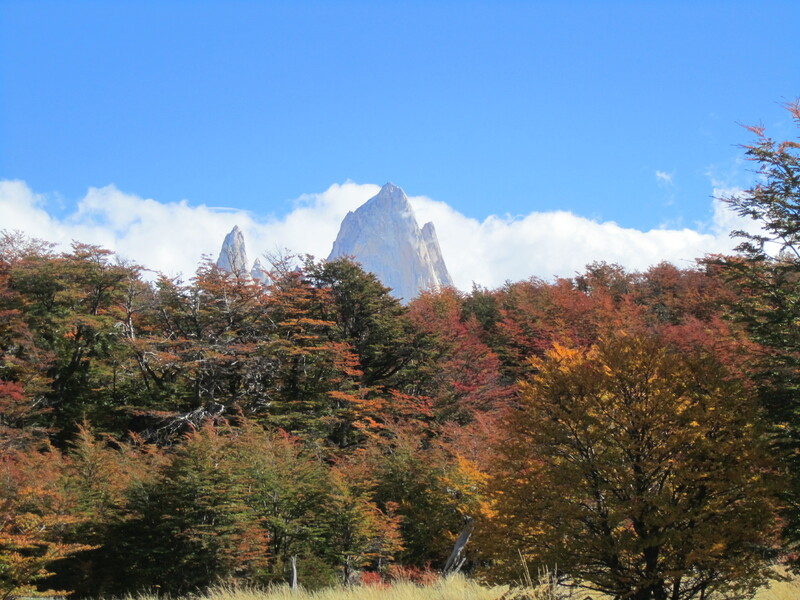 The trail continued and we had our first close glance at the peak of Mount Fitz Roy. A mirador was approaching and we hastened our pace. 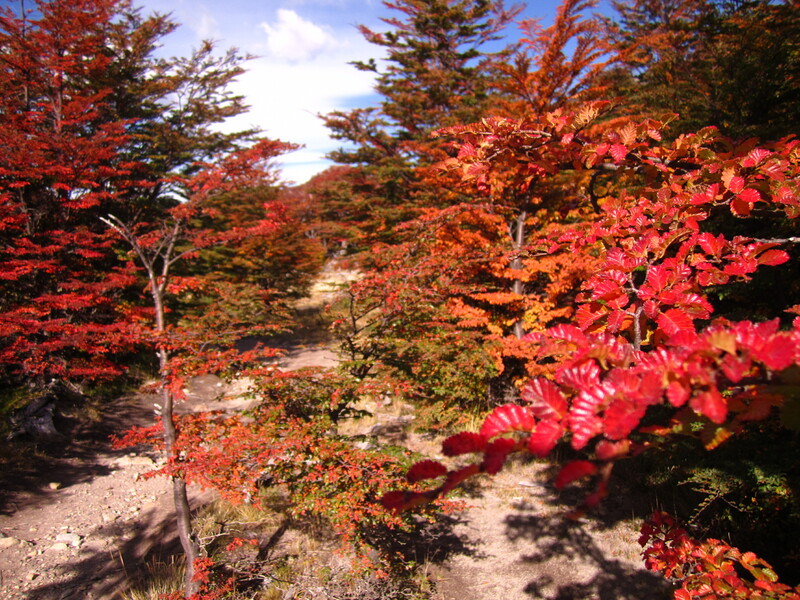 Along the way, the fall foliage surrounding us was burning in warm hues. We arrived at the mirador and I couldn’t believe my eyes. The view was pristine. 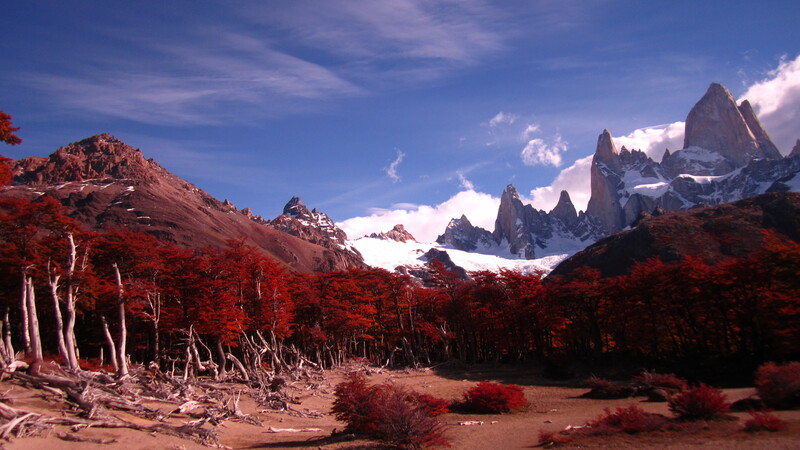 The contrast of the towering Fitz Roy range set along with the crimson forest was beyond my imagination. After relaxing and taking in the view for a while, we continued on the trail to bring us closer to the base of the mountain. 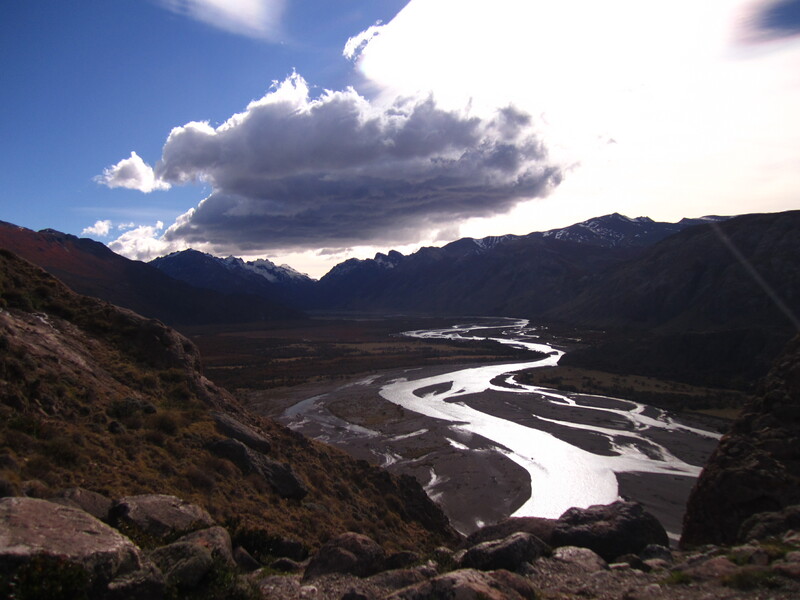 Once we reached, we enjoyed a hearty lunch and turned around to return to El Chalten, but via a somewhat different trail. The same valley was now lit up by the descending western sun. 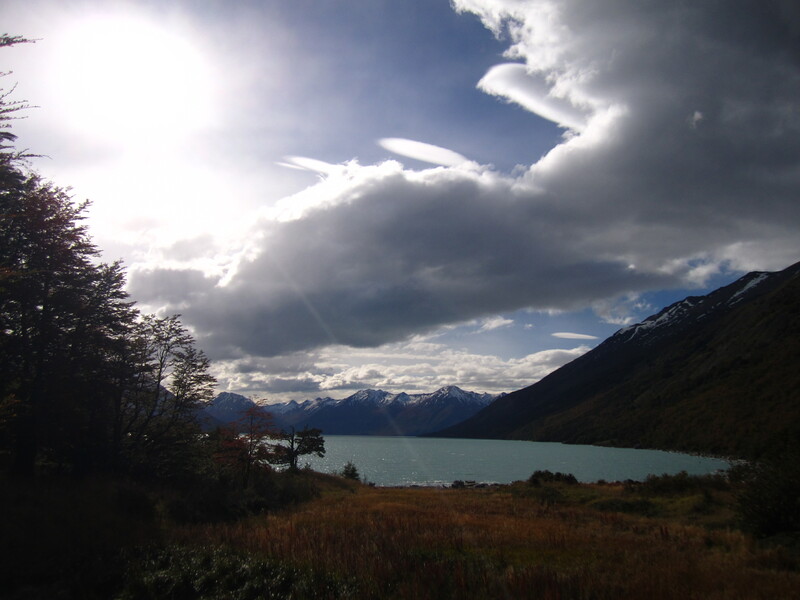 We later arrived in El Chalten and departed on a 26 hour bus ride out of southern Patagonia. And the only way I’m getting on another bus ride that long is if I’m on the way back to Patagonia. 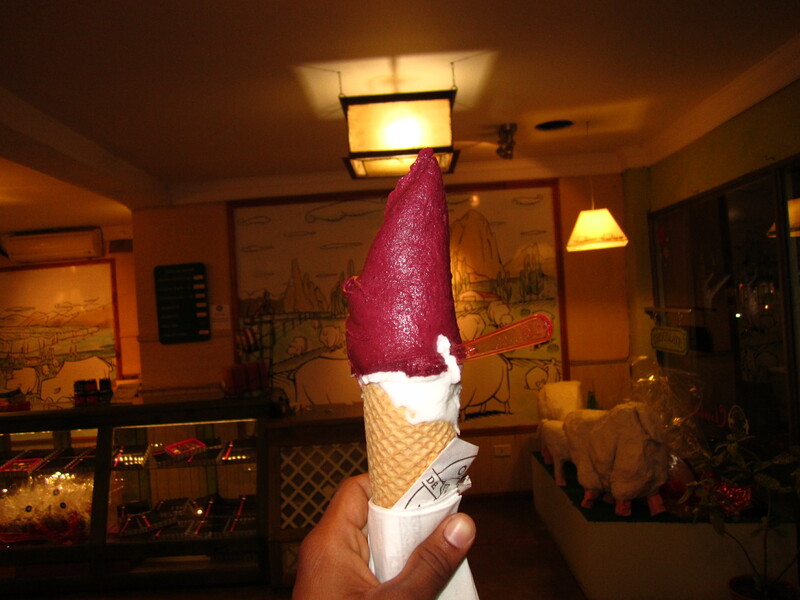 Behold, the mythical Calafate berry – in gelato form. 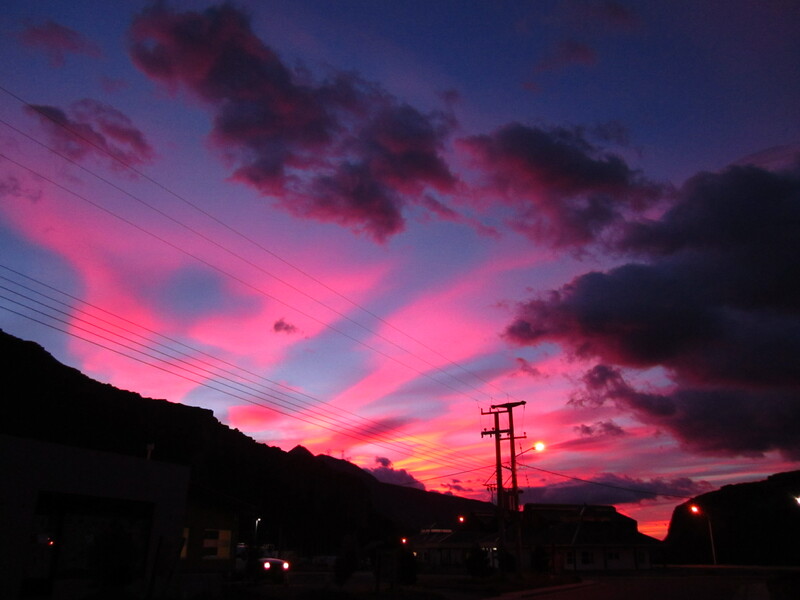 This entry was posted in South America and tagged ale, autumn, berry, calafate, chalten, featured, gelato, glaciar, hike, magellan, patagonia, puerto natales, punta arenas, trek. Bookmark the permalink.